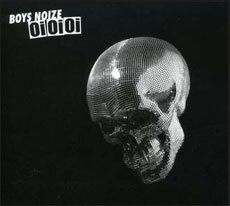 German electro artist Boys Noize brings the noise on his debut album, Oi Oi Oi ($14). Berlin producer, Alex Rhidha, is known for his hard, raw electronic remix on tracks by Depeche Mode, Bloc Party, Feist, Tiga and the Kaiser Chiefs. This well rounded twelve-track noise fest is full of electrobeats with hip hop inspired song titles is sure to be one of the best Electro albums you'll hear in a while.